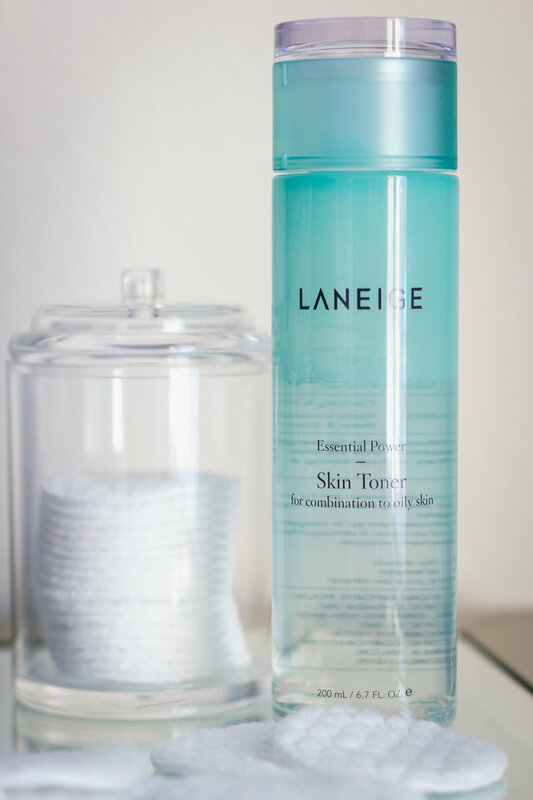 The Laneige Essential Power Skin Toner is made of hydro ionized water to give your skin special moisture. Essentially it’s a drink for your skin. Often times, when your skin is imbalanced it will create more oil to compensate for the dryness. I’m no esthetician but I’m pretty sure that was my issue. After a week of use, my skin was so radiant and plump. It helps that I follow my toner with the products mentioned here. So what’s the best way to incorporate a toner? It all depends on your individual skin needs. You can use it day and night after cleansing or once a day. I use mine in the morning because I don’t wash my face in the AM. The toner absorbs into your skin quickly and doesn’t leave a film. On top of hydrating and removing impurities from the skin, the toner helps prep your skin for makeup. That’s why my makeup stays so smooth now! Laneige has different toners for different skin. I highly recommend you look into a toner if you’re having issues with too much oil production. Honestly, once Summer hits i’ll probably give the Laneige moisturiser a try as well. I’m digging the light product and scent.